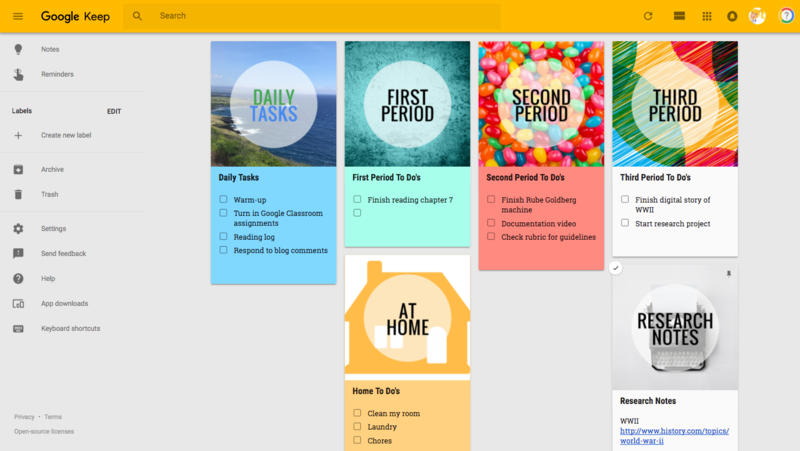 Google Keep is a Google App that allows you to create color-coded notes, drag and move them around, use checkboxes to check off items on a list, etc. 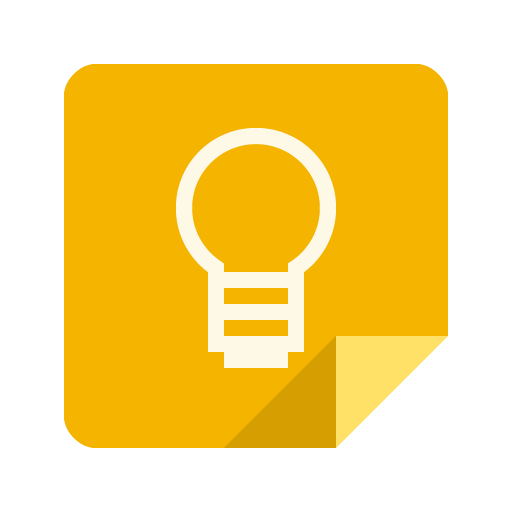 You can also share specific “notes” with other friends who use Google Keep. I.e. Share a note of therapy ideas with another therapist, share dinner menu for the week with your spouse, share a Christmas wish list note with your child, etc. Options are endless. You can “archive” notes; this will temporary delete the note for your list, but can be “recovered” in the future. For example, you want to make a list of tasks needed to do for a holiday task, a list of items to bring for your annual vacation, or even ideas you have related to a project that you do only twice a year. Once the sticky is archived, you can recover it at any time, and then archive again! You can use LABELS to organize your notes and categorize them for easy viewing. I have some for home, work, church, etc. You can share these notes with whoever you want! I have grocery and home improvement lists shared with my husband, shopping lists shared with my mom and sister, and lists of social therapy ideas shared with our school social worker. There are so many uses. 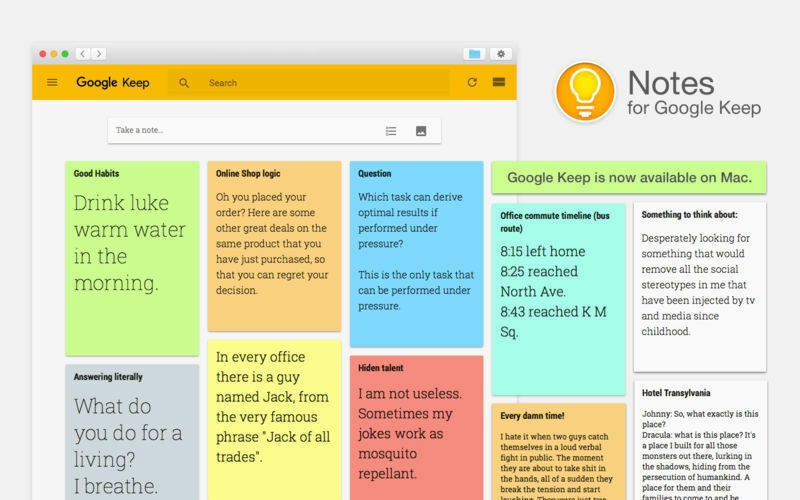 Google Keep lets you capture websites and save into a note! There is a Chrome Extension that allows you to save a URL into a note and it’s saved in your Google Keep! Then later, you can access that website anytime. For example, you can “pin” a great recipe into your notes, add educational sources into a note to use for a works cited page, or even save some vacation spots to share with your girlfriends. There are lots of uses for this app educationally. One of the best is its use in writing tasks. You can export information from your notes (including pinned websites) and import it into a Google Doc! This is an easy way to help students create a paper or essay step by step. This is an easily accessible app to use on your iPhones too! This is a great tool, so I would suggest that you go right now and get it! You’ll thank me later…. How do YOU use Google Keep?! Previous Post Speech Summer Fun! Next Post Parents– Looking for some rainy day ideas?